Last summer, my son enjoyed an unbelievably positive youth baseball experience at Cooperstown Dreams Park. It was a memory of a lifetime. I blogged about Tips and Tricks for players, coaches and parents. That series of posts attracts 10,000 plus page views on my site each month and is my most popular content. This year my son is playing in the Nations Baseball Premier National Championship in Gulfport, Mississippi. The following posts will cover the event and offer helpful tips and tricks. It should be noted that there is a link between Nations Baseball and Cooperstown Dreams Park. In 1996, the founder of Cooperstown Dreams Park, Lou Presutti started Nations Baseball, with its various leagues and tournaments, to compete against USSSA Baseball. They have had Nation Championships for the select and elite levels, but this is the first Premier Level National Championship. Metro - This division is your recreational league play teams. These teams are typically teams full of players who register individually and are drafted by a local league. Select - This division is the entry level to select baseball. These teams typically will play 25-50 games a year and are competitive with All-Star type teams. Elite - This division is a more competitive brand of baseball. Most of these players have been playing select baseball for several years and are becoming very fundamentally sound and will play 50-100 games a year. Premier - This division is the highest level of competition. Most of these players are joined by being the top players in your area. These teams will tend to play 75-125 games a year. 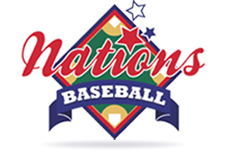 Nations also has tournament and league classes called Open, these events are open to all divisions of play. Over the last couple of weeks I have heard lots of stories about the politics of Nations Baseball and USSSA Baseball. I do not have enough knowledge about either organization to make any opinions. The first ever Premier National Tournament will be a great experience for my son, but it is not an premier event quite yet. I do have faith that Nations baseball will eventually get it right. This year they got the baseball facility right and the host city is great. They just need to attract more and better teams to justify the "National Championship" status.